The War on Drugs: Who Started It? Illegal drug use in the United States has reached staggering proportions. In 2013, approximately 9.4 percent of the U.S. population (24.6 million people) aged 12 or older had used an illegal drug in the past month. In 2016, more than 64,000 people died of drug overdoses in the U.S. Illicit drug use is epidemic in the United States. 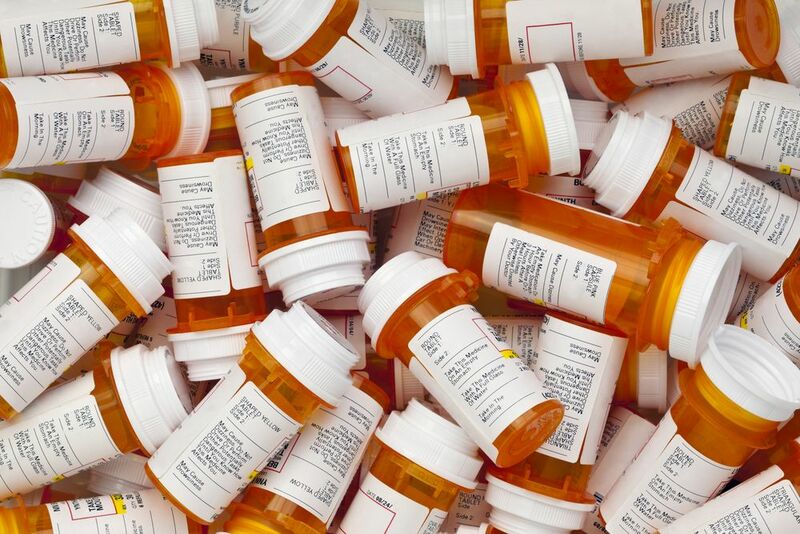 When most of us think of drugs, we think of marijuana, cocaine, and heroin, but surprisingly, some of the most abused substances are prescription medications. Public health agencies are ferociously battling this epidemic. Extensive education campaigns, drug counseling and treatment programs, as well as stiff penalties for both illegal drug possession and dealing are the tools they employ to help prevent needless deaths due to drug use. 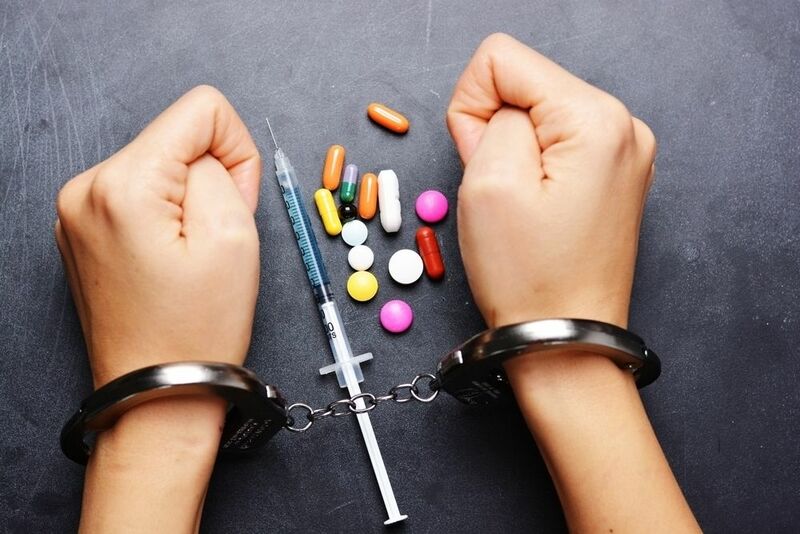 Drug possession is a criminal act that involves having one or more illegal drugs in one’s possession, either for distribution, sale, or personal use. 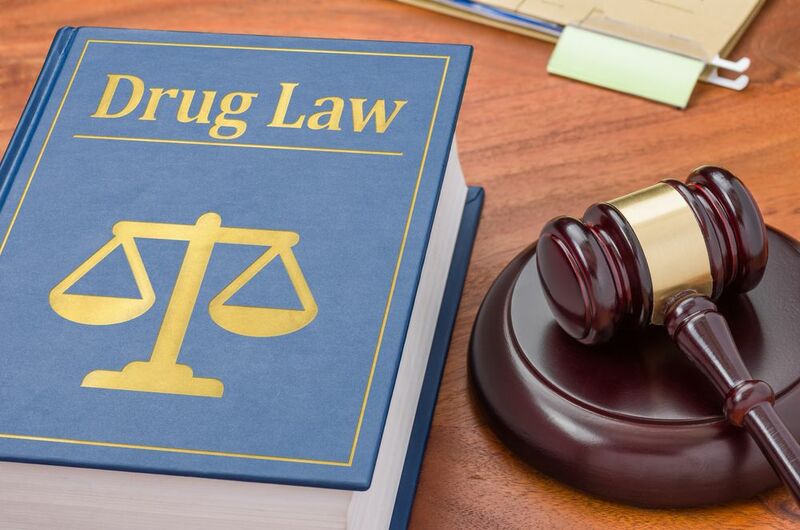 There are several categories of illegal drugs, and sentencing depends on the type of drug, the amount of drug that the offender has in their possession, and the jurisdiction. To make things even more confusing, state and federal laws often contradict one another. Generally speaking. However, drug possession is an arrestable offense, and first-time offenders are more often fined than incarcerated. 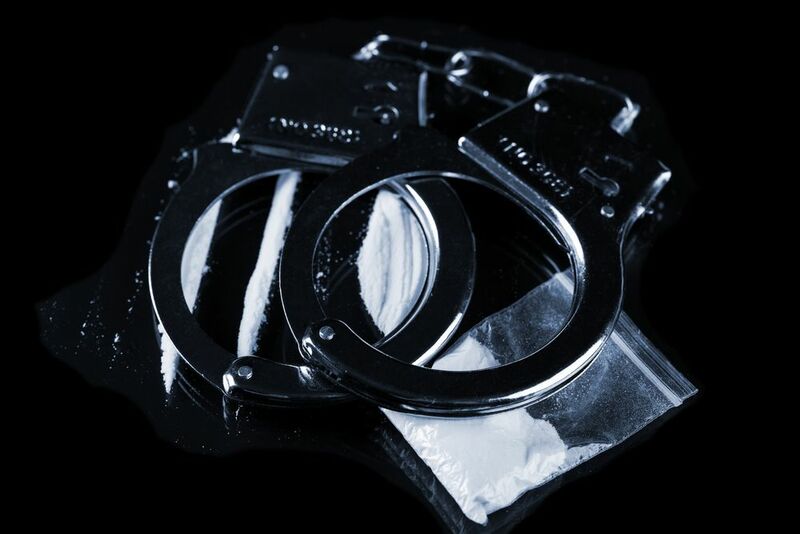 This article will attempt to make some sense of how penalties for drug possession are imposed by both the federal government and individual states within the U.S. . The United States spends $51 billion per year on the War on Drugs. Speaking of law, there are some rather odd ones on the books in various places around the country, but in Colorado, being intoxicated while riding a horse can earn a DUI. The state’s reasoning is that horses are large, powerful animals that travel quickly, much like cars. Unlike cars, they have free will, so a rider who is not in control of his horse could, potentially, cause a lot of damage. All joking aside, possession of illegal drugs is a serious matter and can have far-reaching effects on the lives of those involved. 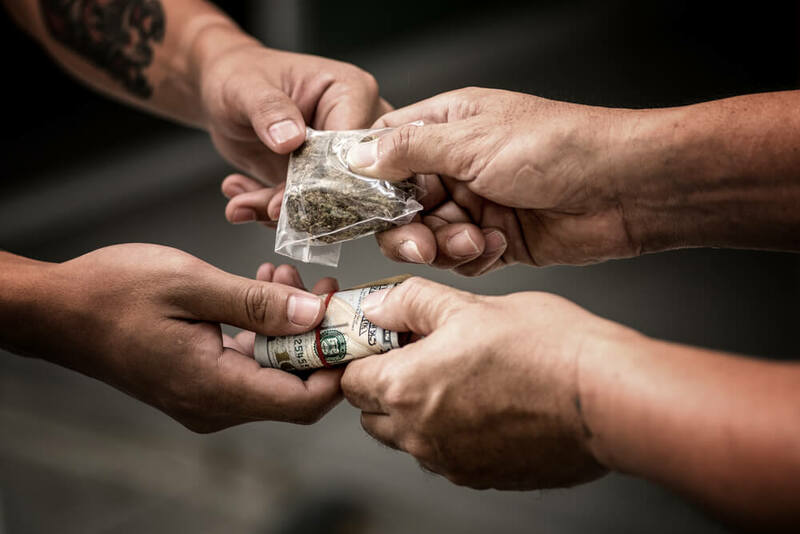 According to the National Institute on Drug Abuse (NIDA), marijuana is the most commonly used illegal drug in the United States, and the most confusing drug to consider, when it comes to penalties for possession. The United States is a federation of separate governments, and drug related laws vary by state. Many states have laws relating to marijuana that contradict federal law. Marijuana is legal in some states for medicinal purposes and fully legalized in others for personal consumption. According to federal law, possession of marijuana is illegal, without exception, in every state. As well, many states have decriminalized marijuana possession, making the fines for possession similar to those of traffic violations, and not criminal offenses. Those found guilty of possessing a small amount of the drug as a first offense can be cited, but will not be arrested or sentenced to serve jail time. Medical marijuana is legal in Alabama, Arizona, Arkansas, Connecticut, Delaware, Florida, Hawaii, Illinois, Louisiana, Maryland, Michigan, Minnesota, Montana, New Hampshire, New Jersey, New Mexico, New York, North Dakota, Ohio, Pennsylvania, Rhode Island, and West Virginia. Some other states allow limited use of medical marijuana in the form of High CBD / Low THC oils rather than in its plant form. These states include: Alabama, Georgia, Iowa, Kentucky, Mississippi, Missouri, North Carolina, Oklahoma, South Carolina, Tennessee, Texas, Utah, Virginia, and Wyoming. As of the writing of this article, marijuana for recreational use is legal in nine states and the District of Columbia. These states include: Alaska, California, Colorado, Maine, Massachusetts, Nevada, Oregon, Vermont (as of July 1, 2018), and Washington. Users in most of these states must be at least 21 years old and are allowed to carry one ounce of marijuana on their person. Several factors affect the punishment for possession of marijuana. If someone is arrested by state law enforcement officials (in states where possession of small amounts of marijuana for personal use has not been legalized), the laws in the state in which the arrest is made prevail. If the arrest was by federal law enforcement, it is more likely that the arrest was made in connection with other illegal activities such as drug trafficking, large-scale production, violence, or illegal possession of firearms. In these instances, federal law takes precedence and marijuana possession is treated as a felony. In most states, possession of a quantity of marijuana great enough to indicate that it is for distribution rather than personal use constitutes a felony, which carries much larger fines and may include imprisonment. Is this a first offence, and does the accused have a prior record? Was marijuana sold to minors, or near a school, park, or other community location where children were present? Was the arrest made in conjunction with a driving incident (DUI, DWUI, DUID)? In many cases (especially with first and second-time offenders), the defendant can plea bargain with the court system and penalties may be dropped if the offender agrees to enter (and complete) drug addiction treatment. The inconsistencies between federal and state laws regarding legalization of marijuana have some interesting consequences and will most likely take many years to reconcile. In 2017, an 11-year-old Texas girl, Alexis Bortell, along with five other plaintiffs, is suing the United States federal government to legalize medical marijuana. For several years, the girl suffered from seizures. When her condition worsened, her family moved to Colorado and began treating her with cannabis oil. She has since been seizure free. Her lawsuit was prompted by the fact that she and her family cannot travel to many places in the U.S. with her medication. Her lawyers argue that the federal laws contradict themselves. On the one hand, the federal government views marijuana as so dangerous that it cannot even be tested and has no legitimate medical use, but on the other hand, there exists a U.S. patent for marijuana stating that it does have valid medical uses. Other commonly used illegal drugs include heroin, methamphetamine, and cocaine. Heroin is a highly addictive opiate. A perpetrator charged with possession or sale of heroin can be charged with a felony and be incarcerated for a period of up to four years. A fine of up to $20,000 may also be imposed. Methamphetamine, also known as crystal meth is found as either a solid (known as a “rock”) or a white powder. Punishment for possession and sale of crystal meth ranges from a fine to a prison sentence. Possession of cocaine is also a felony. Penalties range from a $1,000 fine or up to one year in prison for a first offense to a $5,000+ fine and 90+ days in prison for a third drug-related conviction. Possession of crack cocaine (a cheaper, more highly addictive form of the drug) carries harsher penalties. While possession charges are no laughing matter, a Colorado man, Juan Jose Vidrio Bibriesca was in court for violating his bond on a drug charge a packet of cocaine fell out of his hat. He was walked to the county jail, and charged with narcotics possession and an additional bond violation. What Might the Punishment Be? In 1970, President Richard Nixon, signed the Controlled Substances Act (CSA) into law. It aimed to consolidate all of the previous laws (which numbered in the hundreds) that concerned illegal drugs and controlled substances into a single law. It is mandated that state laws must be in compliance with the Controlled Substances Act, but they may be narrower or more strict than federal law. They may not undermine or contradict federal law. As we have seen with marijuana for example, this is often not the case. The CSA is a federal drug policy that regulates the manufacture and distribution of controlled substances. These include narcotics, depressants, hallucinogens, and stimulants. Drugs are categorized into 5 schedules. This makes it relatively simple to add a new drug to the schedule or to change the classification of a drug without enacting new legislation. It also makes it easier for state legislatures to develop sentencing guidelines for the five categories rather than for each individual drug. Schedule 1 – Ecstasy, LSD, and Heroin. Marijuana is still considered a Schedule 1 drug in spite of its demonstrated medical uses. Marijuana is the only prescription drug with this classification. Penalties for possession of drugs largely depend on what schedule the drug in question belongs to. The federal penalty for trafficking less than 50KG of marijuana (a Schedule 1 drug) is a felony and carries up to a 5-year prison sentence and up to a $250,000 fine for the first offense. A person who is in possession of a Schedule 5 drug will most likely be charged with a first-degree misdemeanor and will spend less than a year in jail. The Drug Enforcement Administration (DEA) was also created by President Richard Nixon in 1973 as the agency responsible for enforcing the Controlled Substance act as well as regulating the use of controlled substances. The DEA monitors drug production, distribution, import, and export. It also works with state law enforcement to curtail drug trafficking and gang related drug violence. Depending on the state in which one is convicted of drug possession, there is a wildly varying range of penalties imposed. In California, which has some of the lightest sentencing guidelines, first-time offenders will be fined between $40 and $500, and may be sentenced to serve 15 to 180 days in jail. On the other end of the spectrum, Kentucky, which has the most stringent guidelines will impose a fine of up to $20,000 and a prison sentence of 2 to 10 years. Both federal sentencing and state sentencing guidelines are driven by the class of drug (which schedule it belongs to), the amount of drug that was possessed, and the number of prior convictions. Regardless of the state, simple possession of illegal drugs carry the lightest sentences while intent to distribute drugs or to produce them (whether by manufacture or cultivation) carry harsher penalties. Many states have created drug courts for felony drug defendants. This system was developed to help alleviate the overburdened prison system in which almost 75% of prisoners were incarcerated for drug-related crimes. The purpose of these courts is to rehabilitate habitual drug users and offenders while keeping them out of prison. In lieu of going to trial, a drug defendant who agrees to drug court spends time in a drug (or alcohol) rehabilitation program, undergoes random drug tests, and appears before the drug court on a regular basis. Defendants who do not adhere to this program can be arrested and sent to trial. Judges who preside over drug court have a great deal of control over the operation of the court and what it mandates to defendants. Sweden’s drug policy is based on zero tolerance for illegal drugs. The policy is aimed at prevention of drug use, treatment for those who abuse drugs, and reduction of the supply and demand for illicit drugs. Use of illegal drugs is a crime in Sweden but personal use does not result in jail time unless it is in the form of a DUI. There is also a mandatory healthcare component that can be used in conjunction with any of the above penalties. This policy is supported by all of the major political parties with the exception of the left-wing party. Traditionally, Canadian drug policy favored harsh punishment for even simple possession of illegal drugs, but in 1996, the Controlled Drugs and Substances Act was passed and penalties for lesser drug-related crimes became less stringent. The Controlled Drugs and Substances Act and the Food and Drug Act regulate drugs and controlled substances. The Controlled Drug and Substances act delineates eight schedules of drugs and gives guidelines for penalties for possession, production, exportation, and trafficking these drugs. Recently, drug courts have become popular in Canada, based on the American drug court system. Its goal is to divert drug-related defendants from prisons into treatment programs with the ultimate goal of rehabilitation. As in the United States, defendants who do not adhere to their drug court mandated treatment can be expelled from the program and tried in criminal court. As a result of gedoogbeleid or “policy of tolerance,” the Dutch are viewed by the rest of the world as being more tolerant of illegal drugs than the rest of the world. Possession, trade, and recreational use of non-medicinal drugs is illegal under the Opium Law in the Netherlands. That said, the Netherlands openly tolerates recreational drug use since the late 20th century. This approach has been adopted by the Dutch because of the prevailing attitude that a drug-free Dutch society is unrealistic and that efforts are better spent trying to minimize the harm done by recreational drug use than by enforcing the laws surrounding it. Legal distinctions are made between two broad classifications of drugs. “Soft” drugs are considered drugs with a low risk of harm and/ or addiction. These include marijuana, sleeping pills, sedatives, and hashish. “Hard” drugs, on the other hand, have a high risk of harm and / or addiction and include cocaine, amphetamine, LSD, heroin, and ecstasy. Dutch drug policy has been to vigorously suppress the use, sale, and distribution of hard drugs while tolerating the sale and use of soft drugs. This has effectively separated these drugs into two distinct markets. “Coffee shops” are permitted to sell soft drugs. Possession of small amounts of soft drugs for personal consumption is tolerated, but possession of larger amounts of soft drugs or possession of any amount of hard drugs can lead to prosecution. Strangely, in the Netherlands, production of all drugs (soft and hard) is almost always illegal. So it is legal for coffee shops to sell marijuana, but illegal for anyone to supply them with the drug. In 2017, a law was passed that makes it easier for producers of marijuana to legally cultivate the drug. In 1998, heroin-assisted treatment was implemented, and has greatly improved the lives of opiate-dependent patients in the Netherlands. Portuguese drug policy was put in place in July 2001. The new law states that it is illegal to use or possess any drug for personal use without authorization (a prescription from a doctor), but has decriminalized possession so long as the amount possessed was less than a ten-day supply of the drug. A 2009 report published by the Cato Institute demonstrated that decriminalization has had no adverse effects on drug use rates. It also showed that drug-related pathologies such as deaths due to drug use and sexually transmitted infections had decreased. At the end of the 1990s, Portugal had an estimated 50,000 to 100,000 heroin users. The total population of Portugal is about 10 million. This led to the creation of The National Strategy for the Fight Against Drugs in 1999. Harm reduction efforts in the form of drug prevention services, drug treatment services, and changing the way that minor drug offenses were handled were the main components of the effort. Until the 1960s, drug use in the United Kingdom was low with very few citizens addicted to illegal drugs. These drugs were prescribed by doctors. In the 1960s, a market for heroin was created as a result of doctors prescribing large amounts of the drug. LSD, marijuana, and amphetamines also began to appear. In 1964, the Drugs (Regulation of Misuse) act was implemented to deal with drug trafficking and production. It also introduced penalties for those found in possession of small amounts of drugs intended for personal consumption, and the police were empowered to stop and search people for illicit drugs. In 1971, the Misuse of Drugs Act (MDA) was introduced. The act classified drugs into three classes. Class A is the most highly regulated and contains the most harmful drugs. 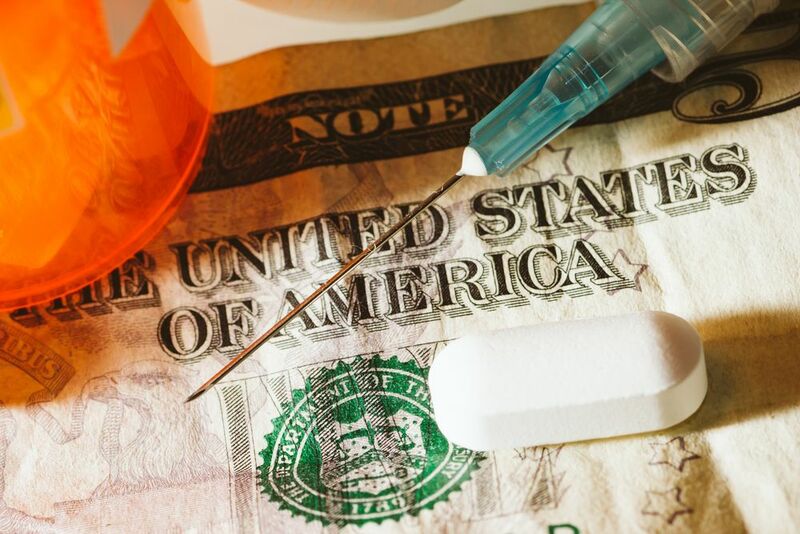 In the 1980s, penalties for distributing drugs were increased, and in 1991, The United Kingdom altered the law in an attempt to integrate criminal justice and healthcare in an attempt to rehabilitate those addicted to illegal drugs. Illicit drug use grew in the 1960s in Australia. The King’s Cross neighborhood in Sydney was an infamous red light district and attracted members of the armed forces on leave from the Indochina Wars. “Demand reduction” strategies aim to prevent drug use. This involves not only educational programs to help keep citizens from taking illegal drugs to begin with, but also treatment programs to help drug addicts become sober. “Supply reduction” strategies aim to eliminate drug trafficking by controlling Australia’s borders and stopping the production of illegal drugs. “Harm reduction” is a safety measure. Demand reduction and supply reduction will never be completely effective, so the legislation helps to reduce the harm that illegal drug users can do to themselves and others. Programs include needle and syringe programs and safe injecting sites. The purpose of these is to prevent the spread of disease (by preventing use of dirty needles) and to prevent deaths by overdose. As with the United States, many of the laws involving use of illegal drugs in Australia are governed by its states and territories, so enforcement and punishment for illegal drug possession are not uniform throughout the country. Under no circumstances is recreational drug use beneficial to anyone’s well being. Using illegal drugs can impact your health, your financial situation, and possibly your freedom in society. If you have a substance abuse problem, use our drug rehab locator to find the best treatment center for you. Addiction Resource » The War on Drugs: Who Started It?